and rootkits without the need to manually edit system files or registry. Trojan Killer additionally fixes system modifications that were introduced by malware and which, regretfully, are often ignored by some popular antivirus scanners. Trojan Killer scans ALL the files loaded at boot time for Adware, Spyware, Remote Access Trojans, Internet Worms and other malware. The program works in the field of system security to ensure safety for computer systems. 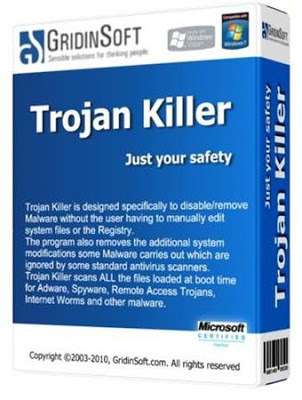 Trojan Killer will help you get rid of annoying adware, malware and other rough tools. It is very important to restore control over your computer as soon as possible without letting anyone use your data. If you are an active internet user, you should take steps to protect your sensitive personal information from possible cyber exposure. Trojan Killer will help you to timely identify and safely remove dangerous applications before it is too late. Donâ€™t wait while malicious programs strike roots in your computer. This application will prevent them from ever reaching your PC!